Village of East Hills > Headline News > East Hills > East Hills Champions the Best! 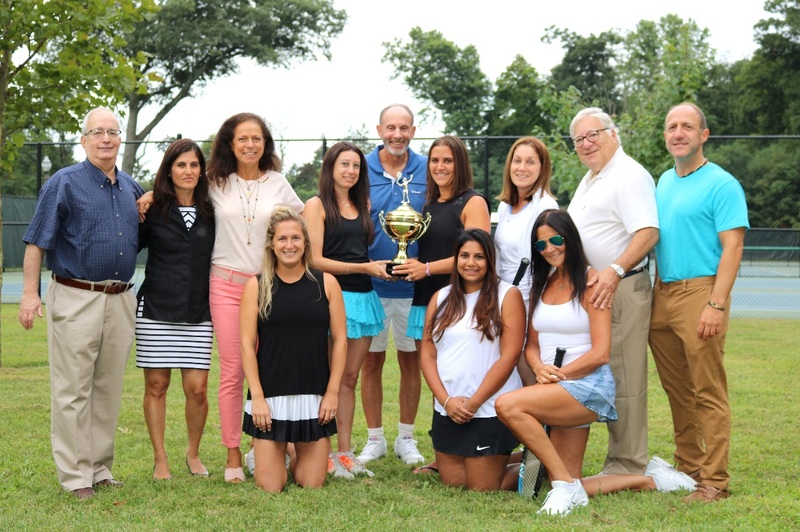 Shown here, with unanimous board approval, are the winners of the A 2 Division, Long Island Women’s Interclub League. The proud competitors include the following outstanding athletes on the East Hills team: Mara Siskind, Danielle Altman, Bindya Melwani, Michelle Stein, Debbie Goldberg, Lauern Bloomgarten with coach Steve Alhadeff, Mayor Michael Koblenz, Deputy Mayor Manny Zuckerman, Trustees: Clara Pomerantz, Brian Meyerson, and Stacey Siegel. Other members of the team include: Rachel Poplock, Donna Weiss, Carly Rappaport, Melissa Giordano, Karen Greenbaum, Pam Lustrin, Lauern Orent, Mina Mandelbaum and Erika Weisberg.